A lot of strikers have played for Chelsea FC, and quite a number of them did not succeed there. Argentinian striker, Gonzalo Higuain, just completed a loan move to Chelsea from AC Milan. He replaced a very striker in Alvaro Morata, who disappointed many Chelsea fans. Morata is not the first striker to flop at Chelsea. Let’s see five strikers who flopped at Chelsea. 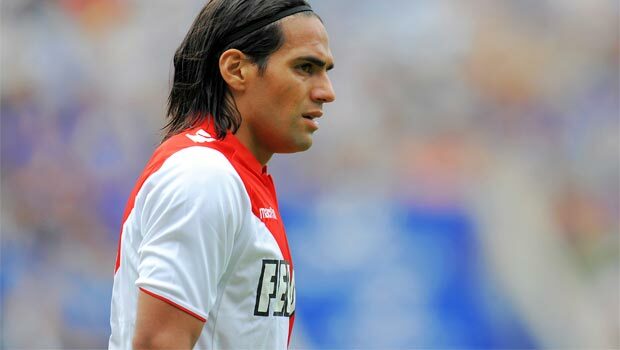 After a disappointing loan spell at Manchester United in which Colombian striker Radamel Falcao scored just four goals in 26 appearances, he moved to Chelsea on loan. His career at Chelsea was even worse since he scored one goal in 12 appearances, and was a bench warmer. In 2011, Fernando Torres made a £50m move from Liverpool to Chelsea. Torres, popularly known for being a lethal striker, struggled to recapture his excellent scoring form at Stamford Bridge. It took him nine matches to score his first goal for them. After a splendid time at his Chilean club Audax Italiano, Chelsea signed Franco Di Santo for a transfer fee of £3.4m in 2008. Di Santo played just 16 matches in his first season and mostly came from the bench. In fact, during his stay failed to score a single goal for the Blues. The Peruvian Striker arrived at Stamford Bridge after he left on a free transfer from Bayern Munich. His career was so bad that he scored just twice in two seasons at Stamford. Pizarro later left the club and rejoined Bayern Munich in 2012. Alvaro Morata started well at Stamford Bridge. He scored eight goals and bagged four assists in his first 11 Premier League matches for Chelsea. All of a sudden, he started suffering from various injuries. He was low on confidence and fitness levels, and that lead to his bad form. His dip in form at Chelsea even cost him a place with Spain at the 2018 World Cup. Do you think that Higuain will succeed at Chelsea or become another flop?